Every child dreams of spending their summer vacation at the Happiest Place On Earth. But not every parent can afford the ultimate Disney Theme Park Vacation. Between flight or travel costs, hotel stay and the theme park tickets themselves it can be hard to manage for the average family budget. 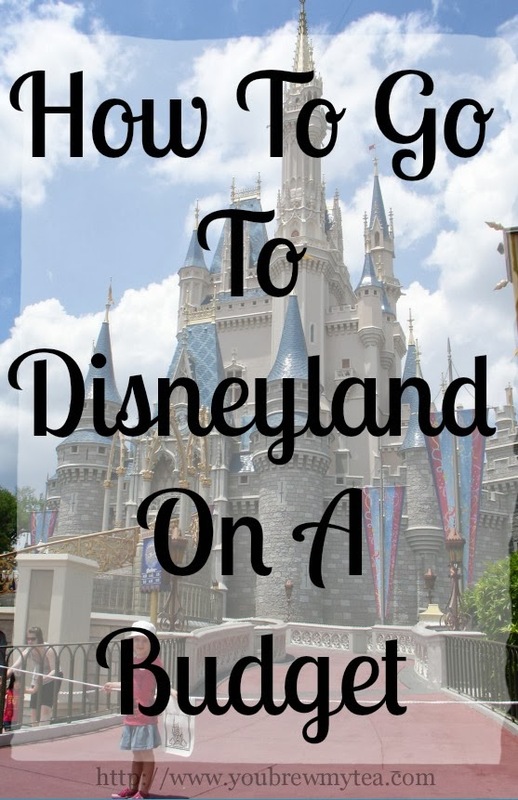 But don’t dismay, as someone who didn’t imagine ever being able to visit the park, I now come to you with tips on just How To Go To Disneyland On A Budget. As someone who is on a very strict budget myself, I am happy to let you know there are a number of ways you can save on all of your travel expenses yet still have a spectacular vacation. AIRFARE VERSUS ROAD TRIP: A large percentage of your expenses for a vacation come from the actual traveling from your home to the destination. This is when pen and paper come into play (or a handy spreadsheet). Depending on where you live the cost will vary greatly. Take your time and figure the mileage if you drive your car or even if you drive a rental car that has a better gas mileage offer. Check out stopping points if the drive is more than one day for overnight stays or discuss with your partner the concept of driving straight through by taking turns with who is at the wheel Next look online at sites that do flight pricing comparisons and check various date ranges. You will very quickly be able to determine which will be cheaper. At that point you can begin haggling for even lower prices on both. GO AROUND SPECIFIC HOLIDAYS: This is one of those concepts that doesn’t always work across the board but can make a huge impact. Disneyland offers special discounts in September and October during their Halloween weekends. They offer a few Friday nights where admission is 1/2 price after 4pm and the park is open until 1am. You can get discounted tickets, ride all of the rides you normally would all for half price. If you are buying multiple passes and only planning to attend the park for one day, this could be a great budget tip for your family. Watch the park website for announcements of these events for other holidays as they do offer this at different times of the year. BOOK A CONDO OR MOTEL OFF PREMISES: Disneyland is in a great part of Southern California with literally thousands of options for motel, hotel and resort stays all at various ends of your budget spectrum. Shop around for locations away from the park for great deals. In small towns within a half hour of the park you can find chain motels or even hotels with rooms as low as $59 per night during off seasons. Spend $89 a night at a Comfort Inn & Suites in Brea or Fullerton rather than $169 per night for a comparable room within walking distance of the park. The cost of gas to commute to the park will be negligible compared to the savings on your hotel over the course of your stay. BUY TICKETS THROUGH CITYPASS: Of the multiple times we have researched Disneyland tickets I continually find that Citypass is ultimately the best deal if you plan on going to the park for more than one day. With options of 2-3 day passes and park hopper passes the savings is well worth looking into. Especially when they offer special pricing for other local Southern California attractions like the renowned San Diego zoo and even the kids favorite Legoland. This can bring up to a 60% discount on your passes alone, not to mention the other perks associated with purchasing a Citypass. ASK FOR DISNEY STORE GIFT CARDS AS GIFTS: For the kids birthdays, your birthdays, Christmas or any other holiday your family or friends might ask what you want as a gift, ask for Disney Store Gift Cards. It may seem selfish but it is actually a great way to get what you want and give them a chance to give you something they know you will appreciate and love. Disney Store Gift Cards allow you to purchase your tickets online or can simply be used for in park snacks, treats and souvenirs (although I typically recommend you avoid buying those items in park if possible due to inflated pricing). You can also look into some of my favorite reward programs listed HERE to help you earn those cards yourself by doing surveys and reviews. FIND A SEASON PASS HOLDER TO GO WITH YOU: Do you have friends or family in the area who have season passes to the park? If so check with them about joining your family for time in the park. You can carpool and use their free parking included in their pass. You can also benefit from the discount percentage off purchases in park with their season pass. These are just some of the many ways you can save money on your vacation to Disneyland on A Budget this year. Coming up we will share with you specifically how to save on food while on vacation, great areas to stay in Southern California on a budget and how to save money while in Disneyland. Don’t miss out on our great vacation and travel tips in coming weeks. Great post! Another great way to avoid parking fees is to take the Anaheim Resort Transportation routes into the Disneyland Transportation Center!